Collagenase is activated by four gram atom calcium per mole enzyme. It is inhibited by ethylene glycol-bis(beta-aminoethyl ether) - N, N, N′,N′-tetraacetic acid, beta-mercaptoethanol, glutathione, thioglycolic acid and 8-hydroxyquinoline. Crude collagenases are mixtures of enzymes (mostly proteases) secreted by C. histolyticum. Effective release of cells from tissue requires the action of both collagenase enzymes and the neutral protease. Collagenase is activated by four gram atom calcium (Ca2+) per mole enzyme. The culture filtrate is thought to contain at least 7 different proteases ranging in molecular weight from 68-130 kDa. Product sold on the basis of collagen digestion units (CDU). 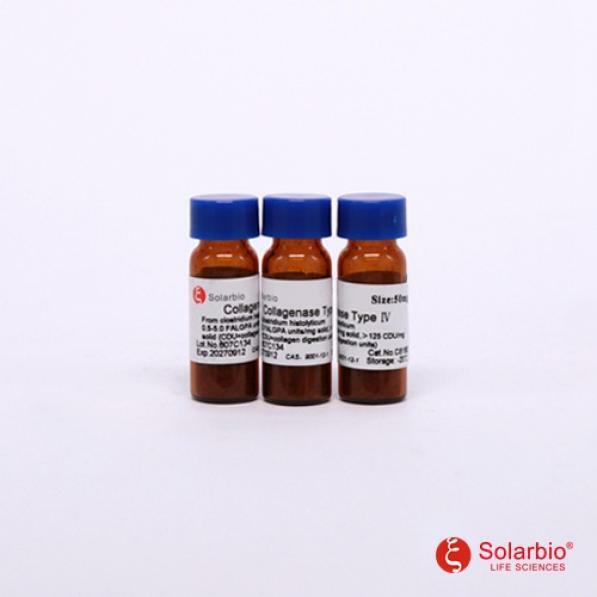 Collagenase may be dissolved in TESCA buffer (50 mM TES, 0.36 mM Calcium chloride, pH 7.4 at 37 °C) at 0.05-0.1 mg/mL concentration. One collagen digestion unit (CDU) liberates peptides from collagen from bovine achilles tendon equivalent in ninhydrin color to 1.0 μmole of leucine in 5 hours at pH 7.4 at 37 °C in the presence of calcium ions. One FALGPA hydrolysis unit hydrolyzes 1.0 μmole of furylacryloyl-Leu-Gly-Pro-Ala per min at 25°C. One Neutral Protease unit hydrolyzes casein to produce color equivalent to 1.0 μmole of tyrosine per 5 hr at pH 7.5 at 37°C. One Clostripain Unit hydrolyzes 1.0 μmole of BAEE per min at pH 7.6 at 25°C in the presence of DTT. 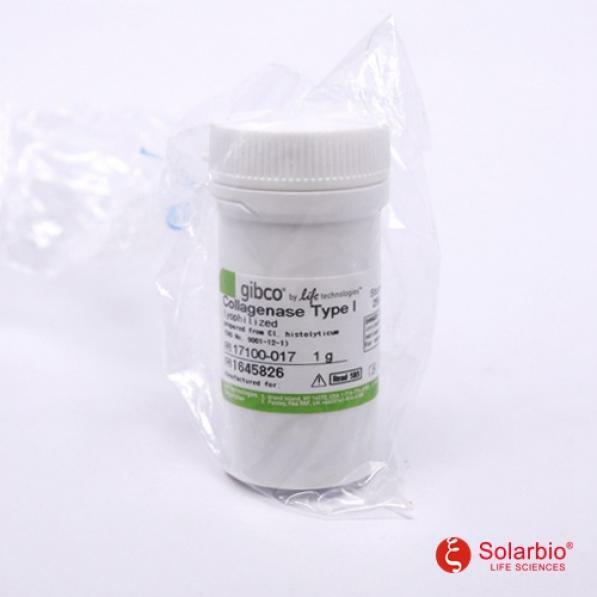 Collagenase from Clostridium histolyticum may be used for the isolation of cells from many types of animal tissue. 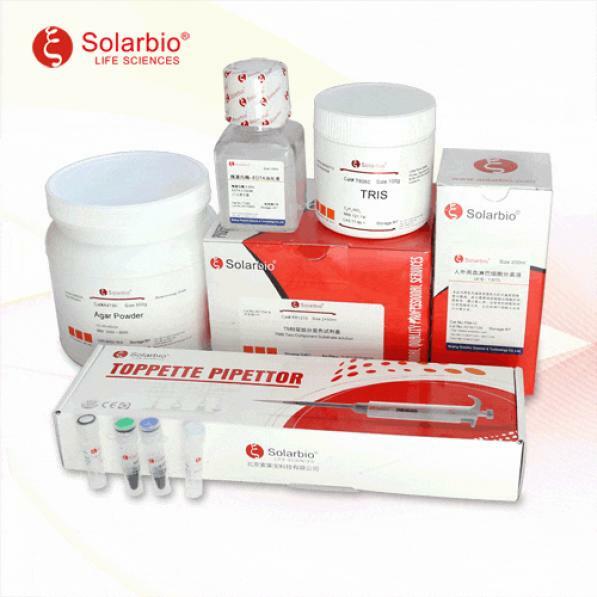 It may be used for the disaggregation of human tumor, mouse kidney, human adult/fetal brain, lung and many other tissues. It may also be used in liver and kidney perfusion studies, for the digestion of pancreas, isolation of nonparenchymal rat liver cells and for hepatocyte preparation.